There have been a series of letters to the editor in our local Sonoma County newspapers with misinformation on grape growing and the wine community in Sonoma County. 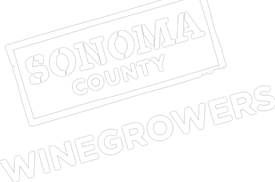 In response, SCW President Karissa Kruse drafted a letter to the editor to set the record straight and to share everything that our grape growing community is doing to be a positive contributor to Sonoma County. This includes background on our sustainability practices and initiative, our ongoing leadership in water conservation, as well as helping to ensure that this county continues to be rooted in agriculture. As president of Sonoma County Winegrowers and on behalf of Sonoma County winegrape growers and their families, I wanted to take the opportunity to share how the local farming community is working together to preserve our agriculture character, including correcting the misinformation in Ernie Carpenter’s Close to Home piece (“Is Big Wine the Big Oil of Sonoma County?” Wednesday). While we are very appreciative of the grant dollar support that we received to preserve and promote local agriculture, the ad that Carpenter references was actually paid for by your local winegrape growers to share our sustainability effort and inspire our community. It is our belief that our county is better when we all work together. Carpenter’s claim of “green-washing” is disrespectful to the 1,800 grape growers, many multi-generational, who have made a very serious, long-term and expensive commitment to sustainable farming. Grape growers are local farmers and small businesses. In fact, more than 40 percent of Sonoma County’s vineyard parcels are less than 20 acres, with 80 percent less than 100 acres. And, for every four acres of vineyards in Sonoma County, our grape growers farm another acre of agriculture devoted to dairies, apples, chickens and other crops. This assures that our agricultural economy remains diversified while benefiting our entire community with local crops. In January 2014, Sonoma County Winegrowers made a bold commitment to being 100 percent certified sustainable by 2019. This effort is the first of its kind in any farming community in America and something we should all feel very proud of. It supports the very fabric of this community and our desire to always improve and treat one another with respect. Specifically, to avoid any claim of green-washing, our sustainability initiative is a formal program, California Sustainable Winegrowing Alliance, and includes 138 assessments and best practices for grape growers, entailing everything from water conservation, soil management, worker safety and training and even business planning. Sustainability is a complicated process with a simple result. It is about minimizing our impact on the land and being environmentally conscientious. It is about treating our workers, community and neighbors with respect and engaging with them in the process. And we must ensure that our businesses are economically viable over the long term so that we can keep our land in agriculture. In addition to the sustainability assessment and following of best management practices, we only work with sustainability programs that have a third party audit process which validates the assessments and provides the certification. This way the grower, the community and the consumer can all feel confident that the best management practices are being followed. To date, we have made unparalleled progress in our sustainability efforts with more than 62 percent of the vineyard acres completing a sustainability assessment and more than 33 percent having been certified. We are well on our way to reaching 100 percent. In addition, we made a commitment to transparency – through local presentations, a bi-weekly radio show and, most importantly, by publishing a first-of-its-kind 24-page sustainability progress report. We have extra copies if anyone would like to learn more. Just as recently as last week, your local winegrape growers stepped up again to become a founding member of the North Bay Water Sustainability Coalition, an unprecedented public-private partnership aimed at water conservation. We cordially invite Mr. Carpenter and any interested community member to reach out to us directly at [email protected]. We are proud of our sustainability program, and we would welcome the opportunity to walk you through one of our vineyards so that you can experience local, sustainable agriculture. I am honored to represent local farmers, and I am proud to be a Sonoma County grape grower. Karissa L. Kruse is president of the Sonoma County Winegrape Commission.